Volume 1 | Issue 1 | Apr – June 2016 | Page 21-24|Hitesh N Modi, Bharat R Dave. Department of Spine Surgery, Zydus Hospital, Thaltej, Ahmedabad, GUJ and # Stavya Spine Hospital and Research Institute, Ellisbridge, Ahmedabad, GUJ. Background: Adult spinal deformity surgery is often associated with increased number of postoperative complications. Purpose of study was to elaborate encountered complications and possible ways to prevent and avoid such complications during surgery. Methods: This was a retrospective analytical study in 193 patients with adult spinal deformity operated between 2010 and 2014 with decompression and multilevel pedicle screw fixation. Average age of patients was 64.5 years with minimum follow-up of 12 months. Clinical results were evaluated by excellent-good, fair and poor results on regular follow-up. Complications were elaborated in detail with possible causes and ways to prevent or avoid such complications to occur in future. Results: There were 133 (69%) patients with excellent or good results while 35 (18%) patients with fair and 25 (13%) patients with poor results. There was 24.8% (n=48 out of 193) complication rate was found in the study. There were 20, 10, 6, 5, 3, 2, 1 and1 patients had persistent symptoms, respiratory difficulty, proximal junction kyphosis, dural puncture, deaths, wound infection, foot drop and renal failure, respectively. Reason for such complications were discussed in detail and precautions implemented in future surgeries. Conclusion: There are higher postoperative complications rates noted in adult spinal deformity surgeries. Most common complications were proximal junctional kyphosis, respiratory difficulty and persistent symptoms postoperatively. Proper preoperative preparation and precautions to avoid such complications are necessary before surgical decision. Key Words: Adult spinal deformity, surgical correction, postoperative complications, preventive measures. Surgeries, in earlier phase, were developed primarily to address and treat injuries or traumas causing death if not treated. Later on, as advances in surgeries progressed, it was focused to improve quality of life. Major advances in surgeries in recent era focused on overcome obstacles of bleeding, infection and pain as well as improved quality of life and earliest return to work without any disability . Therefore surgical indications are found to be an elective application, including the complex conditions such as spinal deformity that typically affect quality of life rather than being an immediate threat to life. Adult spinal deformity is a significant problem for many patients affecting their quality of life, in particularly, the elderly people. India has around 100 million elderly at present and the number is expected to increase to 323 million, constituting 20 per cent of the total population, by 2050,” the report jointly brought out by United Nations Population Fund (UNFPA) and Help Age International said. Similarly in US also the number of elderly patients has been projected to increase to 19.6% from current 12.4% by the year 2030 . Spinal deformity is a major morbidity in elderly population, with pain and balance problems associated with spinal deformity often representing a significant obstacle to mobility in this age group . Nonsurgical management for adult or degenerative spinal deformity is likely underreported. While it is hypothesized that a majority of spinal deformity patients are treated non operatively by their primary physicians, and increasing number of patients are opting for surgery now days . Adult deformity surgery in older patients is becoming an increasingly common and requested procedure. Average life expectancy is rising with an increased expectation for extended quality of life. However, despite improved technical capabilities, complications remain a common occurrence and a significant concern in adult deformity surgery. There are many literatures published showing favorable results with adult spinal deformity surgeries; however, actual prevalence of complications varies widely [5-9]. Several reports have reported a complication rate of greater than 40% in the literature. A meta-analysis published by Yadla et al, who reviewed 3299 patients, found a 41.2% complication rate . In another multicenter retrospective series of 306 primary lumbar adult or degenerative scoliosis patients older than 50, Charosky et al have shown an overall complication rate of 39% . Daubs et al, in their series of 46 complex adult deformity patients aged 60 years or older, presented a complication rate of 37% . In patients older than 70, Lonergan et al reported 95% of patients experiencing a complication of some type . It is also important to note that variety of complications reported in literature varies in terms of minor or major complication. The purpose of this article was to identify commonly associated complications encountered during adult or degenerative scoliosis surgery, to identify and elaborate the risk factors and methods to overcome and avoid such complications. In addition we aimed at literature review of such complications to educate about it to our patients prior to surgery. This is a retrospective analytical study of 193 patients operated for degenerative or adult spinal deformity between 2010 and 2014. Average age of patients was 64.5 (SD=10.5) years (Table 1). All patients were operated by both the authors. The indications of surgery were primarily chronic mechanical low back pain, radicular symptoms, lumbar stenosis and degenerative scoliosis. All patients were explained about possible outcome with extent of surgery as well as longer recovery time than the routine. Additionally all patients were put on calcium supplementation medications prior to the surgery. All patients were operated with pedicle screw fixation and posterolateral fusion along with decompression of affected lumbar spine and correction of spinal deformity to achieve sagittal balance. All surgeries were performed with open surgical technique with wide subperisteal exposure of all operative levels till the tips of transverse processes which was followed by free-hand pedicle screw instrumentation and attempting curve correction by facetectomy with rod derogation maneuver. Decompression laminectomy with or without discectomies were performed at the only affected levels with bilateral foramina decompression. Pedicure subtraction osteotomy was performed in only indicated patients where there was gross sagittal imbalance with kyphotic deformity noted. Postoperative follow-up was done at 6weeks, 3, 6, 12 months and yearly thereafter. There was follow-up of patients apart from protocol also if there is any complication or urgent assistance needed. Results were analyzed using relief in symptoms and improvement in quality of life as well as VAS score for pain. Results were divided in to excellent and good results that had postoperative recovery in their symptoms more than 80% and 60-80%, respectively. If patient had recovery in symptoms by 40-60% and less than 40%, there were categorized in to fair and poor results accordingly. Perioperative and postoperative complications were specifically recorded and studied in detail for this study. Complications that were recorded from operative period to three months postoperative period were included in perioperative complications . Complications seen after three months were included in postoperative complications. Revisions after complications were also studied separately to identify the cause. Average follow-up was 24.1 months (SD= 9.1) with minimum follow-up 12 months. There were 28 patients having at least one level listless, 69 patients with two or less level severe stenosis, and rest 96 patients having problems at more than two levels along with degenerative scoliosis (Table 1). There were 5 patients with associated dorsolumbar stenosis (tendom stenosis), one with cervical myelopathy, one with intra-dural tumor, and eight with associated compression fractures and three with discitis apart from main pathology of stenosis or instability. All pathologies were addressed and operated along with correction of degenerative scoliosis and decompression of stenotic part or stabilization of instability. Evaluation of our results at the final follow-up shows that there were 133 (69%) patients with excellent or good results while 35 (18%) patients with fair and 25 (13%) patients with poor results (Table 2). Evaluating our complications (Table 2), there were three (who were included in poor results) deaths (1.5%); out of them one was due to pulmonary embolism and rest two were due to postoperative cardiac events. There was one patient from fair results who needed hemodialysis for acute renal shut down during perioperative period which recovered after 4 weeks with 21 cycles of hemodialysis. Six (3.1%) patients were having adjacent level degeneration or implant loosening causing myelopathy symptoms that required revision surgery (Fig 1-2). On further evaluating them, all of them were having severe osteoporosis of bone marrow density for wrist and hip scan. All of them were kept of Teriperatide injections for at least one year and after that they did not have any further squeals. One patient had postoperative foot drop which recovered partially over a period of three months as implant positioning were found adequate on postoperative CT scan. This patient had having severely stenotic preoprerative canal size, and therefore, reason for foot drop was mainly due to handling of roots. There were five (2.6%) dural punctures during surgery which were repaired uneventfully. There were only two (1%) patients with postoperative wound infections; one with superficial and one with deep infections. Both were healed after debridement and appropriate antibiotics. Both patients were having positive urine culture due to prolonged catheterization postoperatively. There were 10 (5.2%) patients with postoperative oxygen saturation stays below 90% mainly due to pain and obesity that decreased vital capacity. They were treated with nasal oxygen masks and active spirometry exercise without any further complications. There were 20 patients (10.4%) with persistent back pain and tingling or numbness in legs that affected their daily life infrequently. However, on further evaluating their MRI or CT scans there was no causative factors found out. They have been treated with medications, physiotherapy and reassurance. All patients were mobilized during the hospital stay with the help of physiotherapists after 24-48 hours of surgery as postoperative back pain was controlled. All patients were give training by physiotherapists for postural changes, mobilization, back strengthening exercises, toilet training and avoidance to bending forward and sitting on floor. Advances in pre-operative optimization, operative techniques and perioperative management have made surgical intervention a reasonable alternative for an increasing number of patients. Multiple investigators have reported substantial benefit of surgery with respect to pain, self-image, function, and ability to perform physical activities [10,15]. These benefits have been demonstrated despite the complexity of spinal realignment procedures and a substantial perioperative complication rate. There is a large body of evidence demonstrating positive mid- to long-term outcomes following surgical intervention for adult spinal deformity . Yadla et al  found that operative intervention for adult spinal deformity is associated with improvement in both radiographic and clinical outcomes at a minimum 2-year follow-up. Similarly we have also found in our study that there was significant improvement in clinical as well as radiological parameters in our patient groups which has proven the benefits of surgery. In our study we have found overall 24.8% complications which is almost similar to the rate published in literature [1,12,13,17,18]. Postoperative deterioration in pulmonary functions in form of decrease in FEV1 is a major concern causing increased respiratory efforts and decreased oxygen saturation. There is an inevitable natural decline in pulmonary function with ageing, which may be more pronounced in patients with untreated spinal deformity . Lehman et al. demonstrated significant decline in all measures of pulmonary function (5-6% decline compared with predicted age-related decline) following deformity surgery with a clinically significant decline (a decline of >10% inFEV1) in pulmonary function in 27% of the patients of their series of 164 patients operated for adult spinal deformity. However, they did not evaluate immediate postoperative FEV1. In our series we have found decreased oxygen saturation and increased respiratory efforts postoperatively mainly due to obesity and post-operative pain as well as use of opioid analgesics which might cause respiratory depression. We therefore, give 30 degree prope-up position with nasal oxygen and encouragement of spirometry exercise once patient is able to follow the commands soon after surgery. With maintaining this protocol none of our patients had any long-term respiratory infections or difficulty. Additionally to start with preoperative spirometry exercise is also welcome to avoid and treat such conditions postoperatively. Proximal junctional kyphosis (PJK) or degeneration with implant loosening is also a known and well described complication in literature. In recent review article by Lau et al  suggested that the reported incidence of PJK ranged widely, from 5% to 46% in patients undergoing spinal instrumentation and fusion for adult spinal deformity. It is reported that 66% of PJK occurs within 3 months and 80% within 18 months after surgery. The reported revision rates due to PJK range from 13% to 55%. In our case series we have found over all 3.1% of proximal level problems and out of which we did revision surgery for five patients. One patient did not want to go ahead with revision surgery eventually developed spastic paraplegia. While other five patients who underwent revision surgery eventually improved without any further sequel. Additionally we have started Teriperatide injections to all of them to develop bone mass as their BMD suggested of having osteroporosis. Later on we have followed a protocol of starting Teriperatide injection (explained before surgery) postoperatively and maintaining that we had not found significant complications related with PJK [21,22]. Additionally we also explained our patients to avoid sitting of floor and bending forward to prevent PJK. In another review article by Soroceanu et al  included 245 patients to identify implant related complications after adult spinal deformity surgery. They found out 31.7% patients have had some sort of implant related complications and52.6% of those patients required reoperation. Rod breakage accounted for 47% of the implant-related complications, and proximal junctional kyphosis accounted for 54.5% of radiographical complications. In our series although we found out PJK, we did not find any patients have had complications such as rod breakage or mal-positioning of implants that needs revision. In another recent article by Sandquist et al. suggested that their unique technique of multilevel segmental screw technique (MLSS) where a longer length pedicle screws was inserted from pedicle to upward direction crossing at least one or two segments to achieve stronger hold in one or two more vertebral levels; and thus decreasing chances of PJK in their series. However, we have not used this technique in any of our patients. There were other un-expected complications were also noted in our patient series such as acute renal shut down in one patient requiring hemodialysis. That patient was having hypertension as well as diabetes with renal compromise. Probable cause for ARF was identified as prolonged hypotension postoperatively has caused decreased renal perfusion resulting in to renal shut down. Therefore, we usually follow having blood pressure of minimum 100mm of Hg during surgery with constant watch on urine output. Postoperatively as well keeping Foley catheter in situ until patient starts walking and mobilizing to toilet would keep eye on volume and color of urine. If we feel color of urine is darker than what is expected, it would be always better to investigate for blood urea and creatinine level along with input output chart to correct immediately. There was one patient with acute pulmonary embolism postoperatively. Patient had long travel 24 hours before surgery with history of diabetes and previous heart disease. We then thereafter follow a protocol not to operate patients who have had long travel before 48 hours. We also investigate in form of venous Doppler study and postoperatively we also use DVT stockings to prevent such incidences unless patient starts walking independently postoperatively. We agree that this is a retrospective review study in patients with adult spinal deformity with primarily aimed at treating primary factors such as stenosis or instability along with correction of deformity. Minimum follow-up being only 12 months is also less if we wants to study all possible complications after such major surgery. However, large numbers of patient in our series is sufficient to explain and possible precautions to manage such patients postoperatively. Additionally our preoperative and postoperative precautionary steps in form of spirometry exercise, mobilization and anti DVT protocols, implementation of anti osteoporosis medications and avoidance as well as modification of life style might have prevented certain complications described in the literature. In spite of all shortcomings in the study, we think this would guide further to researchers and surgeons to keep complication rates lower after adult spinal deformity surgery. 1. Smith JS KM, Crawford A, Shaffrey CI. Outcomes, expectations and complication overview for the surgical treatment of adult and paediatric spinal deformity. Spine deformity preview 2012:4-14. 2. Federal interagency forum on aging-related statistics. Older American update: Key indicator of wellness. (<http://www.agingstats.gov/agingstatsdotnet/Main_site/Data/Data_2006.aspx>) 2006; [Accessed August 8, 2011 ]. 3. Bess S, Boachie-Adjei O, Burton D, Cunningham M, Shaffrey C, Shelokov A, Hostin R, Schwab F, Wood K, Akbarnia B. Pain and disability determine treatment modality for older patients with adult scoliosis, while deformity guides treatment for younger patients. Spine (Phila Pa 1976) 2009;34:2186-90. 4. Glassman SD, Berven S, Kostuik J, Dimar JR, Horton WC, Bridwell K. Nonsurgical resource utilization in adult spinal deformity. Spine (Phila Pa 1976) 2006;31:941-7. 5. Simmons ED, Jr., Kowalski JM, Simmons EH. The results of surgical treatment for adult scoliosis. Spine (Phila Pa 1976) 1993;18:718-24. 6. Deyo RA, Ciol MA, Cherkin DC, Loeser JD, Bigos SJ. Lumbar spinal fusion. A cohort study of complications, reoperations, and resource use in the Medicare population. Spine (Phila Pa 1976) 1993;18:1463-70. 7. Bradford DS, Tay BK, Hu SS. Adult scoliosis: surgical indications, operative management, complications, and outcomes. Spine (Phila Pa 1976) 1999;24:2617-29. 8. Baron EM, Albert TJ. Medical complications of surgical treatment of adult spinal deformity and how to avoid them. Spine (Phila Pa 1976) 2006;31:S106-18. 9. Burneikiene S, Nelson EL, Mason A, Rajpal S, Serxner B, Villavicencio AT. Complications in patients undergoing combined transforaminal lumbar interbody fusion and posterior instrumentation with deformity correction for degenerative scoliosis and spinal stenosis. Surg Neurol Int;3:25. 10. Yadla S, Maltenfort MG, Ratliff JK, Harrop JS. Adult scoliosis surgery outcomes: a systematic review. Neurosurg Focus;28:E3. 11. Charosky S, Guigui P, Blamoutier A, Roussouly P, Chopin D. Complications and risk factors of primary adult scoliosis surgery: a multicenter study of 306 patients. Spine (Phila Pa 1976);37:693-700. 12. Daubs MD, Lenke LG, Cheh G, Stobbs G, Bridwell KH. Adult spinal deformity surgery: complications and outcomes in patients over age 60. Spine (Phila Pa 1976) 2007;32:2238-44. 13. Lonergan T, Place H, Taylor P. Acute Complications Following Adult Spinal Deformity Surgery in Patients Aged 70 Years and Older. J Spinal Disord Tech. 14. Modi HN, Suh SW, Hong JY, Cho JW, Park JH, Yang JH. Treatment and complications in flaccid neuromuscular scoliosis (Duchenne muscular dystrophy and spinal muscular atrophy) with posterior-only pedicle screw instrumentation. Eur Spine J;19:384-93. 15. Smith JS, Shaffrey CI, Glassman SD, Berven SH, Schwab FJ, Hamill CL, Horton WC, Ondra SL, Sansur CA, Bridwell KH. Risk-benefit assessment of surgery for adult scoliosis: an analysis based on patient age. Spine (Phila Pa 1976);36:817-24. 16. Paulus MC, Kalantar SB, Radcliff K. Cost and value of spinal deformity surgery. Spine (Phila Pa 1976);39:388-93. 17. Lau D, Clark AJ, Scheer JK, Daubs MD, Coe JD, Paonessa KJ, LaGrone MO, Kasten MD, Amaral RA, Trobisch PD, Lee JH, Fabris-Monterumici D, Anand N, Cree AK, Hart RA, Hey LA, Ames CP. Proximal junctional kyphosis and failure after spinal deformity surgery: a systematic review of the literature as a background to classification development. Spine (Phila Pa 1976);39:2093-102. 18. Shapiro GS, Taira G, Boachie-Adjei O. Results of surgical treatment of adult idiopathic scoliosis with low back pain and spinal stenosis: a study of long-term clinical radiographic outcomes. Spine (Phila Pa 1976) 2003;28:358-63. 19. Weinstein SL, Zavala DC, Ponseti IV. Idiopathic scoliosis: long-term follow-up and prognosis in untreated patients. J Bone Joint Surg Am 1981;63:702-12. 20. Lehman RA, Jr., Kang DG, Lenke LG, Stallbaumer JJ, Sides BA. Pulmonary function following adult spinal deformity surgery: minimum two-year follow-up. J Bone Joint Surg Am;97:32-9. 21. Ohtori S, Inoue G, Orita S, Yamauchi K, Eguchi Y, Ochiai N, Kishida S, Kuniyoshi K, Aoki Y, Nakamura J, Ishikawa T, Miyagi M, Kamoda H, Suzuki M, Kubota G, Sakuma Y, Oikawa Y, Inage K, Sainoh T, Takaso M, Toyone T, Takahashi K. Comparison of teriparatide and bisphosphonate treatment to reduce pedicle screw loosening after lumbar spinal fusion surgery in postmenopausal women with osteoporosis from a bone quality perspective. Spine (Phila Pa 1976);38:E487-92. 22. Park JH, Kang KC, Shin DE, Koh YG, Son JS, Kim BH. Preventive effects of conservative treatment with short-term teriparatide on the progression of vertebral body collapse after osteoporotic vertebral compression fracture. Osteoporos Int;25:613-8. 23. Soroceanu A, Diebo BG, Burton D, Smith JS, Deviren V, Shaffrey C, Kim HJ, Mundis G, Ames C, Errico T, Bess S, Hostin R, Hart R, Schwab F, Lafage V. Radiographical and Implant-Related Complications in Adult Spinal Deformity Surgery: Incidence, Patient Risk Factors, and Impact on Health-Related Quality of Life. Spine (Phila Pa 1976);40:1414-21. 24. Sandquist L, Carr D, Tong D, Gonda R, Soo TM. Preventing proximal junctional failure in long segmental instrumented cases of adult degenerative scoliosis using a multilevel stabilization screw technique. Surg Neurol Int;6:112. 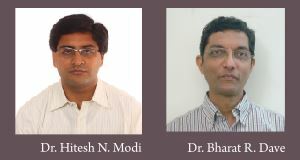 How to Cite this Article: Modi H, Dave BR. Complications encountered in surgical management adult spinal deformities- Prevention and management- a retrospective study in 193 patients. 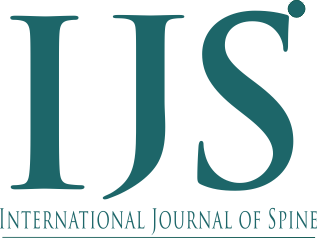 International Journal of Spine Apr – June 2016;1(1):21-24 .